Here they present one phrase for which you have to find answer. My name is Robert. One day before my brother Rohan’s 19th birthday, our father had an album on the Billboard 200. Name the album. Then i found that name of there father is Bob Marley and that’s it the task was cake walk after that. Just searching Rohan’s birthday and the name of album on Billboard website near to that date. Before you say anything , yes the same steps were suggested by Google also but i did before seeing the official answer. Okay , so what’s the point in running such a website. I feel Google is trying to note human search query patterns for real life problems . Its kind of psychological study of humans while using search engines. They must be noting all the queries which we enter for particular problem statement and try to read human brains. What can Google do with this ? They can come up with machine which thinks like humans , Remember IBM’s computer Watson which won competition few days back while answering similar questions. Humans start thinking with nouns and then relate information required with those nouns to find answer for their query. I guess we can build up something beautiful on top of this. Other day i was looking for some gadget built in to use Google analytics with Blogger. Then i found that its not there and i have to add it directly into the code. Here are the steps which you have to follow to use Google Analytics in Blogger. Search for </body> tag in the code and just above it add the Google analytics code which you got from Google analytics website. I am going to write IBM Test 000-032 : Foundations of IBM Cloud Computing Architecture V1 exam . So am going to document my preparation steps so that others can use to prepare for the same. Here are some of important things about the exam. Basic overview of the exam can be found from official Cloud Computing certification webpage of exam on IBM website. IBM has provided exam objectives which can be a guide for preparation. Also set of resources which can be useful for exam preparation are mentioned here. I am not sure how much useful these are for actual exam. Though i can comment on this later when i finish writing the exam. I have set date of 28 April 2011 to give the exam. Exam is easily passable , if you prepare carefully. Go through objectives present on the IBM exam website at the link below. The objectives present on website beautifully explain various sections of exams , and how to prepare for them. The topics which are required to be stressed on are also mention in the objectives document. If your company has partner relation with IBM then you can also access the online course made for the same. The sample test above is just awesome , it gives you clear idea on what level of preparation is required to sit in the exam. I am sure if you keep all of the points above , you shall pass it with flying colors. IEEE has announced creation of new IEEE Cloud Computing initiative.The effort is kicking off with the approval of two new standards development projects, IEEE P2301™, Draft Guide for Cloud Portability and Interoperability Profiles, and IEEE P2302™, Draft Standard for Intercloud Interoperability and Federation. As part of its leadership in advancing cloud computing technologies, IEEE Standards Association (IEEE-SA) has formed two new Working Groups (WGs) around IEEE P2301 and IEEE P2302. IEEE P2301 will provide profiles of existing and in-progress cloud computing standards in critical areas such as application, portability, management, and interoperability interfaces, as well as file formats and operation conventions. With capabilities logically grouped so that it addresses different cloud audiences and personalities, IEEE P2301 will provide an intuitive roadmap for cloud vendors, service providers, and other key stakeholders. When completed, the standard will aid users in procuring, developing, building, and using standards-based cloud computing products and services, enabling better portability, increased commonality, and greater interoperability across the industry. IEEE P2302 defines essential topology, protocols, functionality, and governance required for reliable cloud-to-cloud interoperability and federation. The standard will help build an economy of scale among cloud product and service providers that remains transparent to users and applications. With a dynamic infrastructure that supports evolving cloud business models, IEEE P2302 is an ideal platform for fostering growth and improving competitiveness. It will also address fundamental, transparent interoperability and federation much in the way SS7/IN did for the global telephony system, and naming and routing protocols did for the Internet. This will open a small window in bottom , where you can add your blog. will display all the information related to machine which is available. uname --help will show all the parameters which can be used. The day 2nd April 2011 has been written in golden letters of Indian history. 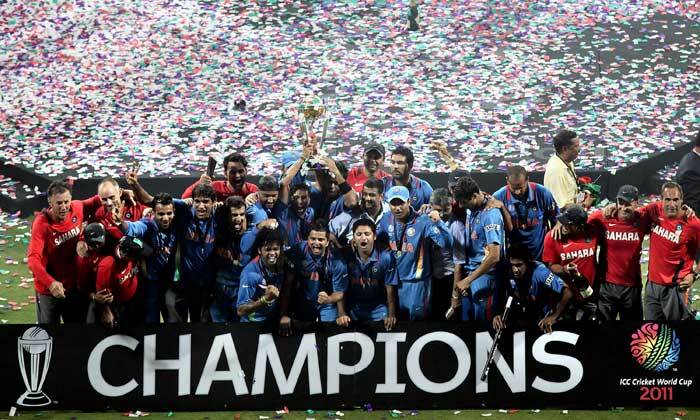 Today for second time we have won the world cup. 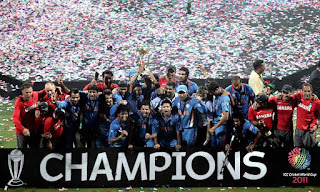 It has been long wait of 28 years since 1983 when India won it first time. On this momentous occasion few things are coming to my mind so just wanted to jot them down. A good guru can make lot of difference. Gary kristen the Indian coach has been great performer, who quietly made Indian team so strong that they are invincible today. Acha guru boht kismat walo ko milta hai and this bunch of Indian team has been lucky. This worldcup we all owe to legendary Sachin Tendulkar. 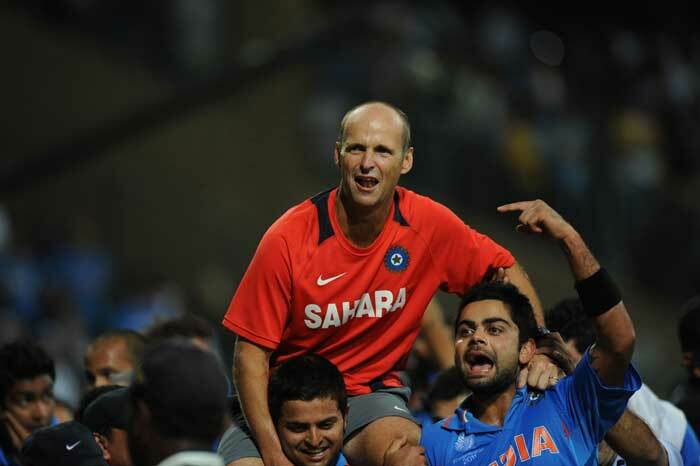 It has been 21 years since he is playing for India. His excellence in field and downtoearth nature off the field has left great influence on me. Everytime I see him or his kids I think how can anyone be so downtoearth. Giving great performance for India since ages. I thank god that I have able to see him playing in my lifetime. I have not seen him playing live but this is my next agenda to do. I pray god gives him fitness to play for long time to come. Ability to remain calm under difficult to difficult situations , trusting your own capabilities is what we all should learn. Sachin is successful because he has dead set focus , he do what he loves , he passion to play cricket and thats why he is doing it for ages. The greatest lesson which we all can learn from him is to do , work for what we are passionate about. One of the person worth mentioning is Indian captain Dhoni. A good leader can get magical things done from his team members. Leading by example , performing in best way and setting benchmarks has been greatest virtue of this guy. Abilty to admit mistakes made openly in front of all is one of the thing which I will like to learn from this chap. A lot of hardwork is behind all this one moment , the sweat which they all have shed playing under the sun in strong sun for hours and hours is the reason for success. In life things wont come easily for anyone , we have to work single minded towards our ultimate goal. The success is bound to follow.